Kenneth O'Donnell was born in Worcester, Massachusetts, on 4th March, 1924. During the Second World War O'Donnell served in the US Airforce (1942-1945). After the war O'Donnell studied at Harvard University where he met Robert Kennedy. He also attended Boston College Law School. In 1951 O'Donnell worked as a salesman for Hollingsworth and Whitney in Boston. A member of the Democratic Party, O'Donnell helped in the campaign to get John F. Kennedy elected to the Senate. O'Donnell worked in public relations before being appointed as Assistant Counsel, Select Committee to Investigate Improper Activities in Labor-Management Relations in the Senate (1957-59). In 1960 O'Donnell was the organizer and director of John F. Kennedy's presidential campaign schedule. The following year he became Kennedy's special assistant. O'Donnell was an early critic of the Vietnam War and advised Kennedy to bring an end to America's involvement in the conflict. In November, 1963, he was involved in the organization of the presidential trip to Dallas, Texas. This involved discussions with Winston G. Lawson (secret service agent in charge of the trip), Roy Kellerman and Jesse Curry (chief of police in Dallas). On the 22nd November, 1963, O'Donnell travelled in the Secret Service car immediately behind the presidential car. O'Donnell later wrote, "After the second shot, Dave Powers said to me, 'Kenny, I think the president's been shot!' I made a quick sign of the cross. While we both stared at the president, a third shot took the side of his head off. We saw pieces of bone and brain tissue and bits of reddish hair flying through the air. The impact lifted him and shook him limply as if he were a rag doll, and then he dropped out of our sight, sprawled across the back seat of the car." Several witnesses said that William Greer stopped the car after the first shot was fired. This included Jean Hill, who was the closest witness to the car when Kennedy was hot: According to Hill "the motorcade came to almost a halt at the time the shots rang out". James Chaney (one of the four Presidential motorcyclists) - stated that the limousine "after the shooting, from the time the first shot rang out, the car stopped completely, pulled to the left and stopped." Mary Woodward, a journalist with the Dallas Morning News wrote: "Instead of speeding up the car, the car came to a halt... after the first shot". 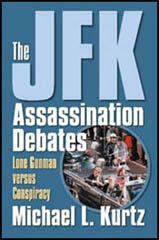 O'Donnell later wrote: "If the Secret Service men in the front had reacted quicker to the first two shots at the President's car, if the driver had stepped on the gas before instead of after the fatal third shot was fired, would President Kennedy be alive today? He added "Greer had been remorseful all day, feeling that he could have saved President Kennedy's life by swerving the car or speeding suddenly after the first shots." O'Donnell told the Warren Commission that the shooting had come from the rear. He later told his friend, Tip O'Neill, that he had been under pressure from the Federal Bureau of Investigation to say this. In fact, he believed that the gunfire had come from in front of the motorcade. O'Donnell commented: "I told the FBI what I had heard, but they said it couldn't have happened that way and that I must have been imagining things. So I testified the way they wanted me to. I just didn't want to stir up any more pain and trouble for the family." This story was backed up by David F. Powers, who was sitting next to O'Donnell in the motorcade. In 1965 O'Donnell established his own management consulting company. In that year he was also an unsuccessful candidate for the Democratic nomination for Governor of Massachusetts. In 1968 O'Donnell was the campaign manager of the Robert Kennedy presidential campaign. After the assassination of Kennedy he helped the campaign of Hubert Humphrey. 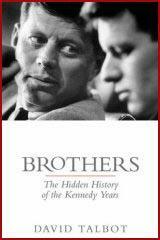 Kenneth O'Donnell and David F. Powers began work on a book on their time with John F. Kennedy. The book Johnny, We Hardly Knew Ye: Memories of John Fitzgerald Kenned was published in 1976. Kenneth O'Donnell died on 9th September, 1977, of the effects of alcoholism. His daughter, Helen O'Donnell, published the book, A Common Good: The Friendship of Robert F. Kennedy and Kenneth P. O'Donnell in 1998. Kennedy had told me (Kenneth O'Donnell) in the spring of 1963 that he could not pull out of Vietnam until he was reelected, "So we had better make damned sure I am reelected." ... At a White House reception on Christmas eve, a month after he succeeded to the presidency, Lyndon Johnson told the Joint Chiefs: "Just get me elected, and then you can have your war." Arlen Specter: Would you outline the origin of that trip to Texas, please? Arlen Specter: In a general way, what was the purpose of the President's trip to Texas in November of 1963? Kenneth O'Donnell: Well, he hadn't conducted any political activities in Texas. There were great controversies existing. There was a party problem in Texas that the President and the Vice President felt he could be helpful, as both sides of the controversy were supporting President Kennedy, and they felt he could be a bridge between these two groups, and this would be helpful in the election of 1964. I think that is the major reason for the trip. Arlen Specter: Tell us what occurred then as you made that turn away from the crowded downtown Dallas area and headed toward the plaza area. Kenneth O'Donnell: Well, I sat down. I remember saying to Dave Powers that it was a fantastic crowd. He agreed. We turned. I remember the overpass. And then the shots occurred - which, at that time, I did not know were shots. My first impression was it was a firecracker. And then either somebody said, "He has been hit," or I noticed the slump - he had been waving out the right side of the car, and I noticed him slump over toward Mrs. Kennedy, and I realized then that they had been shots. But as fast as that realization occurred, I saw the third shot hit. It was such a perfect shot - I remember I blessed myself. I was rather convinced that was a fatal blow. Arlen Specter: When you say you made a turn, which way did the motorcade turn? Kenneth O'Donnell: Turned to the left. Arlen Specter: And approximately how far behind the Presidential vehicle was the follow-up car at that time? Kenneth O'Donnell: My guess would be 5 to 8 feet, the normal - when there are large crowds, pressing in on the side, they try to stay close. It was moving at a steady pace. The crowds were orderly. So he was at a normal - I would presume they were just about turning to step up the speed a little bit, because there would be no crowds from there. Arlen Specter: What is your best estimate of the speed of the President's vehicle at that time? Kenneth O'Donnell: Well, I would think we probably were going between 15 and 20, up until that moment, and I think he probably had just begun to accelerate probably up to about 25, somewhere in that vicinity. Arlen Specter: What reaction did you observe, if any, as to Mrs. Kennedy during the shots? Kenneth O'Donnell: Well, he slumped on her. She appeared to be immediately aware that something had happened. She turned toward him. And then the third shot hit. Obviously, she then knew what happened. She turned, looking at the backup car. Meanwhile Agent Hill had gotten off the car and started running up. She was clambering toward the back, and reached his hand, and he was on the car. Arlen Specter: Did you observe any reactions in the President's car other than those which you have now testified about? Arlen Specter: At what point did the motorcade accelerate? Kenneth O'Donnell: It accelerated, I would think, right about at the time that Agent Hill grabbed onto the back of the car, which would be just a few seconds after the last shot. Arlen Specter: And at what speed did the motorcade proceed en route to the hospital? Kenneth O'Donnell: Very rapidly. I would guess between 60 and 70 miles an hour. Ken O'Donnell, the most powerful member of the staff, was both a Harvard graduate and an Irish-Catholic politician from Massachusetts. The reports of such dissension came from unsuccessful applicants for White House positions or lightweights who didn't last long on the staff, many of whom found "blackballing" by one element or the other a handy alibi for their rejection or dismissal. From my viewpoint, O'Donnell had the greatest responsibility, influence, and accessibility to the President. Ken is a slight man but tough and wiry with black hair and a disposition to match it when he thought someone was working against JFK's best interests. His father, Cleo O'Donnell, was a legendary football coach at Holy Cross. But Ken chose to pass up the Catholic institution for Harvard, which was the other side of the tracks for an Irishman from Worcester. He was first string quarterback, captain of the Harvard football team, and an honorable mention All American. One of his favorite passing targets on the same team was an end by the name of Robert F. Kennedy. The two became close friends despite their great difference in backgrounds. After graduation, when Ken was considering an offer to play professional football with the old Buffalo Bills of the All American Conference, Bob persuaded him to go into government and politics instead. O'Donnell worked on precinct organization for John F. Kennedy's winning Senate campaign against Henry Cabot Lodge in 1952. I first met Ken when he came to Washington in 1957 as administrative assistant to Bob Kennedy on the Senate labor rackets committee, for which I was then an investigator. I found him to be one of the most candid and direct men I have ever met. He would never use five words if one would do, and that word was very often a flat "no." One could admire him immediately but it took a little longer to like him. It was obvious to me, even in 1957, that Ken was merely marking time for the "big game," and in 1959 he left the rackets committee to join the Kennedy for President staff. Ken had many duties at the White House. One of them was Appointments Secretary. Except for members of the official family and state visitors, no one could see the President without first clearing with O'Donnell - and he could say no to a corporation president trying to promote an ambassadorship as readily as he could to a ward politician trying to influence the award of a contract. Ken was also the liaison between the White House and the Secret Service and FBI. Their highly confidential reports came across his desk before reaching JFK's. One of his most important duties was arranging the President's travels. Whether it was a flight to Chicago to speak to a political rally or a state visit to Europe to confer with de Gaulle, Khrushchev, or Macmillan, O'Donnell was the chief planner. He also had an amazing knowledge of Democratic politics and personalities in every one of the states, and would referee many of the disputes among warring factions. When the word came down from O'Donnell, that was it! It was my impression that O'Donnell had the greatest influence in shaping the President's most important decisions. He was able to set aside his own prejudices against individuals and his own ideological commitments (I would rate him a moderate Democrat) and appraise the alternatives with total objectivity. It was impossible to categorize O'Donnell, as White House observers did with other staff members, as either a "hawk" or a "dove" on foreign policy, or a Stevenson liberal or Truman conservative on civil rights. JFK gave extra weight to O'Donnell's opinions because he knew he had no personal cause to argue. Ken had only one criterion: Will this action help or hurt the President? And that, for O'Donnell, was another way of asking: Will it help or hurt the country? I was never one of the use people who had doubts or suspicions about the Warren Commission's report on the president's death. But five years after Jack died, I was having dinner with Kenny O'Donnell and a few other people at Jimmy's Harborside Restaurant in Boston, and we got to talking about the assassination. I was surprised to hear O'Donnell say that he was sure he had heard two shots that came from behind the fence. "I can't believe it," I said. "I wouldn't have done that in a million years. I would have told the truth." "Tip, you have to understand. The family-everybody wanted this thing behind them." Dave Powers was with us at dinner that night, and his recollection of the shots was the same as O'Donnell's. Kenny O'Donnell is no longer alive, but during the writing of this book I checked with Dave Powers. As they say in the news business, he stands by his story. And so there will always be some skepticism in my mind about the cause of Jack's death. I used to think that the only people who doubted the conclusions of the Warren Commission were crackpots. Now, however, I'm not so sure. But I'd rather focus on Jack's life. He really did have the charisma, the glamour, and the talent that has become part of his legend. He had a radiance that made people glow when they were in his company. He brought to all sectors of the American public a new feeling that they were wanted, that there was a place in America for them regardless of religion or race. And perhaps most important, when Jack Kennedy was president, people had trust in their government. I look forward to the lay when that will once again be true. It was during the late seventies that every conceivable damaging revelation came out about the Kennedy brothers, yet the Kennedy family still opposed the 1976-79 House Select Committee on Assassinations' reinvestigation of the Kennedy murder. What more could they be hiding? As it turned out, the new investigation discovered more information damaging to the Kennedy image. It found out that Jacqueline and Robert had been, from a strictly legal standpoint, unwitting accessories after the fact in the President's murder. 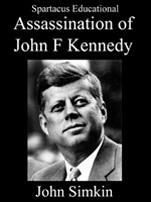 First, the Assassinations Committee determined that it was principally Jacqueline Kennedy and the so-called "Irish Mafia" trio of Dave Powers, Kenny O'Donnell, and Larry O'Brien who were responsible for removing Kennedy's body from Parkland Hospital to Air Force One and then to Bethesda Naval Hospital outside Washington. The move was illegal and resulted in the President receiving a wholly inadequate autopsy, a calamity that has stirred innumerable controversies over the past thirty years. Furthermore, the Assassinations Committee determined that Jacqueline and Robert exerted undue influence on the autopsy surgeons at Bethesda Naval Hospital preventing the President from receiving a complete autopsy and even interfering with standard autopsy procedures regarding the tracking, or dissection of gunshot wounds. Finally the committee determined that Robert Kennedy had actually caused crucial physical specimen evidence to disappear from the custody of the National Archives, namely slides of the President's wound-edge tissues and his formaldehyde preserved brain.